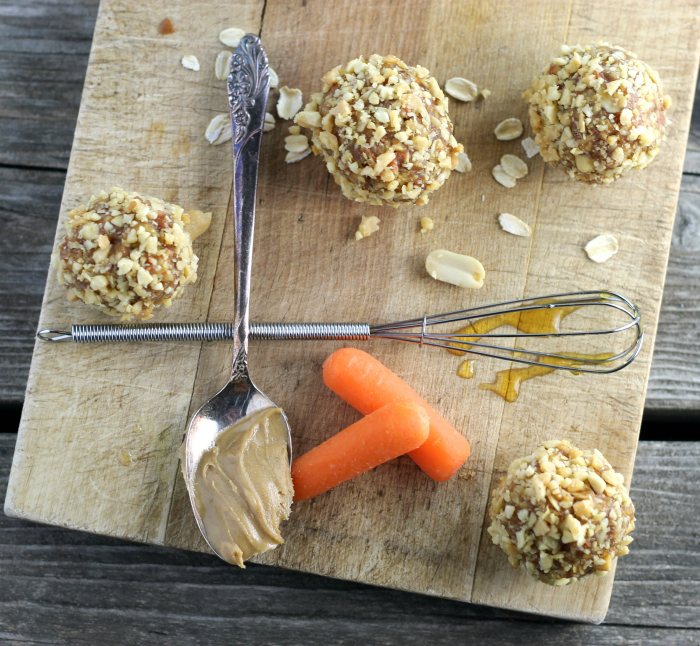 Carrots and peanut butter… who would have ever thought that these two foods were made for each other? My sister actually turned me on to the whole carrots and peanut butter combo. Yeah, it is one of her favorite snacks, which she likes to eat. It actually is a great combination. Have you ever tried the two together? So, I was thinking about energy balls and trying to think of a new combination. I have made the chocolate chip and coconut combination and absolutely loved them. But, I knew that there had to be other combinations that would make a great energy ball. Then this peanut butter and carrot combination came to mind. And since it is Easter time, I thought it was the perfect time for a carrot thing. You know all about the Easter Bunny, right? And you know how bunnies love their carrots, right? So, see it is carrot season. 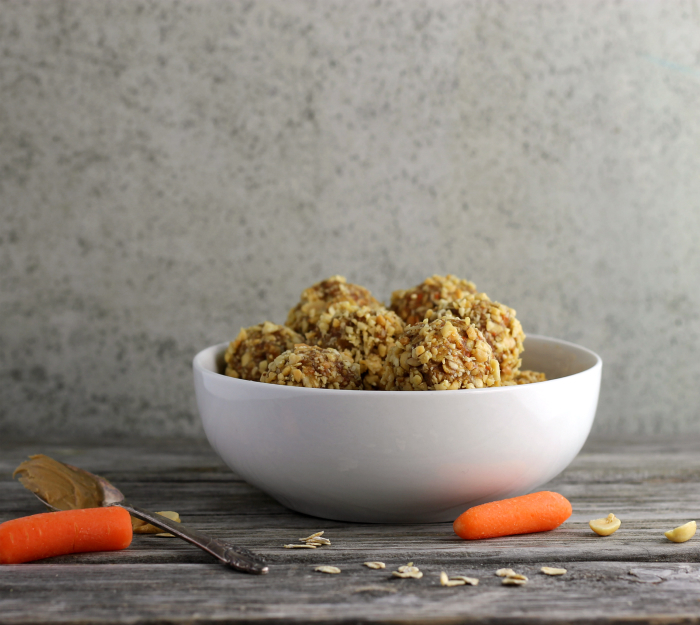 Not only are they perfect for Easter but these carrot peanut butter energy balls will be perfect for the summer months too. They are a no-bake treat, so that means you won’t be heating up the house. 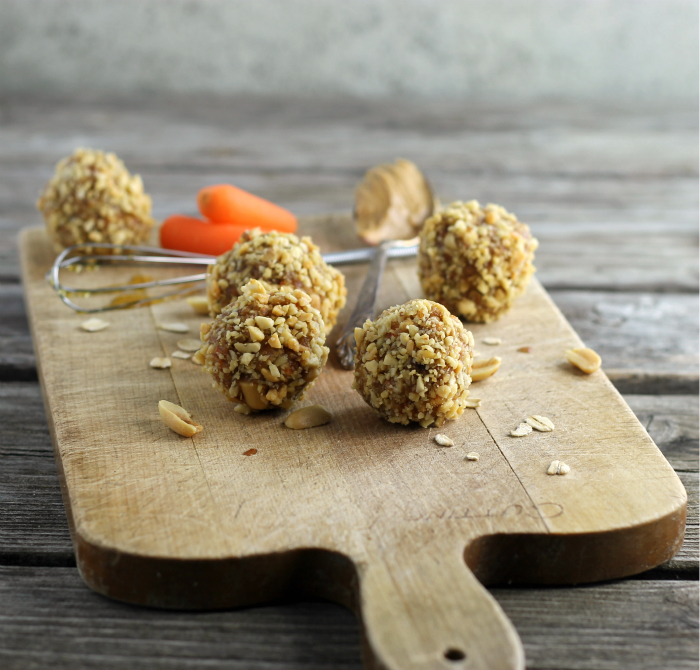 If you have never tries this combination of carrot and peanut butter, I hope that you will give it a try and if you love it like I do you will have to make some of these carrot peanut butter energy balls. In a medium bowl combine the oats, 1/2 cup coarsely chopped peanuts, and shredded carrots (I used a mini food processor to shred the carrots). Set this to the side. In a small saucepan combine the peanut butter, honey, coconut oil, and cinnamon. Heat over medium heat, stirring constantly, until the peanut butter, honey, and coconut oil are combined and slightly melted. Add the peanut butter mixture to the oats and mix until well combined. After the ingredients are combined you may want to refrigerate for 10 to 15 minutes. Roll into balls. 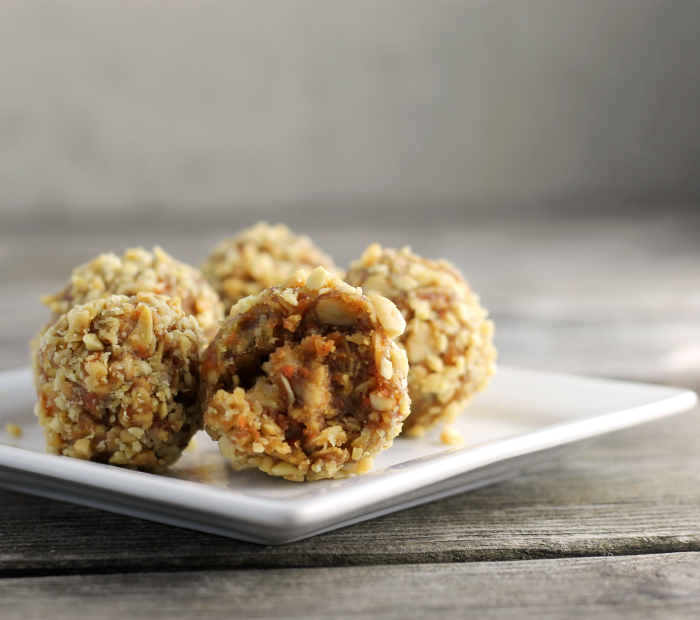 Once you have oats mixture rolled into balls, chop the rest of the peanuts. You will want the last 1 cup of peanuts chopped quite fine. Roll the balls in the peanuts until coated. They are ready to server. Store any leftovers in the refrigerator. So I would never have thought about putting carrots and peanut butter together…but now that you mention it, I can see how it would work. 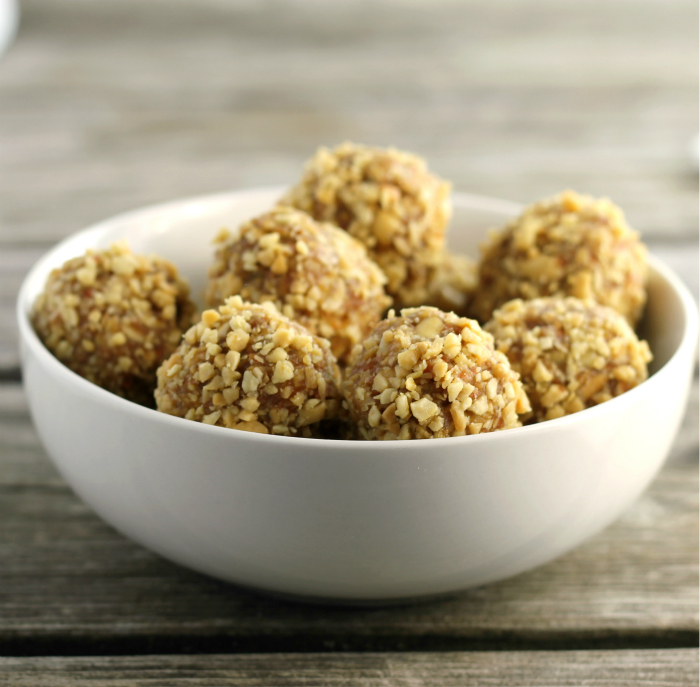 I really need to give these energy balls a shot! I’ve never really made any, and I’m thinking this one is as good as any to start with, right? 🙂 I hope you saved at least one of these for the Easter Bunny! Yum – these look delicious! I love quick, simple and nutritious treats. I too love to make and eat energy balls. They are so versatile and delicious at the same time. Carrot and peanut butter sound like an interesting combination that I should give it a try too. Thanks for sharing, Dawn. No lie. I eat peanut butter and carrots together alllll the time. They are great together.